I have been fortunate enough to never have really been addicted to smoking other than a brief phase in the middle where I smoked 5-6 cigarettes a day for about a year. But I have seen friends and family suffer continuously under the grip of its unrelenting addiction. Everyone wants to quit but most people can’t, no matter how hard they try. 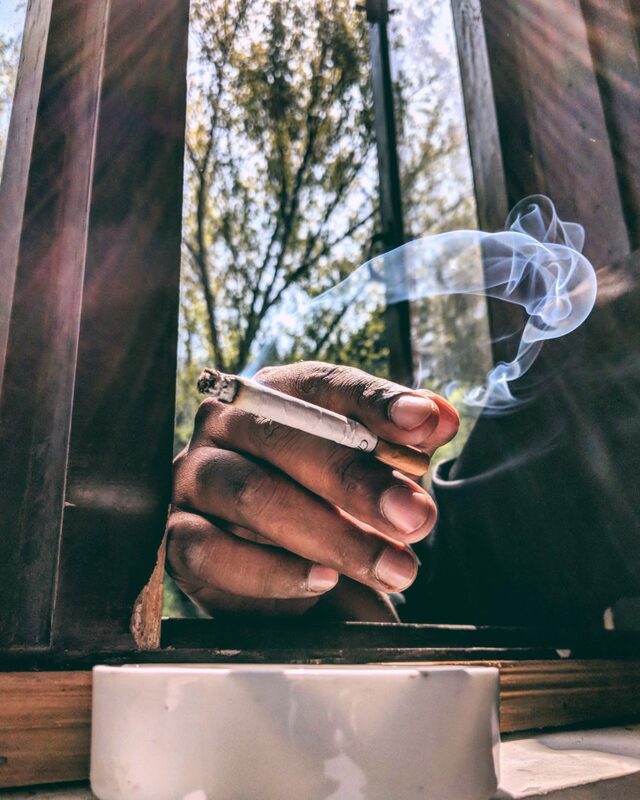 I have seen my brother suffer at the hands of smoking at close quarters and know fully well that it isn’t just an innocent addiction but one that can ruin lives because of its impact on cardiovascular health that can lead to heart ailments. The only saving grace – if I can call it that – is that cigarettes don’t have any psycho active substances. Back to my brother – he suffered at the hands of this addiction for years until he couldn’t function normally anymore and had to quit. He was determined to take charge of his health so he managed. But most people aren’t that fortunate. His struggle made me empathise with other smokers. Earlier, I used to mock them for not being able to quit. Now, I often try to help instead. I have realised smoking is a more mental affliction than a physical one. It needs to be ‘treated’ like you would any other disease. Most people cannot quit cold turkey and need different interventions. There has to be a whatever it takes approach to making someone quit and it cannot be one method by itself. It has to be a combination of various things that come together to keep the smoker off cigarettes for 21 days – as they say that’s how long it takes to form or break a habit. But it is most important that smoking be replaced with a different habit (which can be phased out gradually) otherwise that gap will always keep calling out to cigarettes. I have observed some common things through trial and error that have largely worked for smokers to. Realisation: Be aware. That’s it. With every drag you take feel what the cigarette is doing to you. How the smoke is going in and leaving behind poison inside the beauty that is the human body. The poison is traveling to every part of your body through your blood. Read again and again, what smoking is doing to your body until it gets ingrained and becomes a subconscious thought. Meditation: As I said, smoking is an affliction of the mind as much as it is a physical one. Calm your mind. Meditate once, twice, thrice a day. These don’t have to be long meditations. They can be 5 minutes long done sitting in your office chair. They could just be minute long breathing exercises. They could just be positive affirmations. Whatever calms your mind, works. Remember smoking doesn’t help to calm your mind. It only aggravates it. Breathing and meditation can truly do what your body tries to achieve through smoking. Let it pass: Your cravings will not last more than a minute. Remember that! But that minute may feel like an eternity. Distract yourself. Play a game. Play many games on your phone. Use your phone as much as you can as a distraction (but remember you are only doing this to break your habit). Use it all: Nicotine patches, chewing gums, ayurvedic drops, therapy (yes, it’s worth it – smoking ALWAYS has an underlying psychological factor). Future fit: You will have more lung capacity, pick up the sport you have always wanted to. Play with your kids. Stay fit. Live a longer, healthier life – still need another reason? Pic Credit – Zaid Salman. Thank you so much for this. I am a smoker wanting to quit. I hope I can remember this when I smoke next time.